All About Hashimoto's Hypothyroidism | Crank It! Hypothyroidism is an increasingly common disease; it comes in various forms but they’re all characterised by abnormally low levels of thyroid hormones T4 and T3. There are also various causes but the most common cause globally is still iodine deficiency simply because a huge number of people with the condition live in countries where health policies addressing iodine deficiency do not exist. In most developed countries iodine deficiencies have been resolved through initiatives like iodized salt and adding iodine to certain staple food products, like dairy and even bread. In these countries Hashimoto’s hypothyroidism is now the single most common type of hypothyroidism. Hashimoto’s hypothyroidism is also known as Hashimoto’s thyroiditis or Hashimoto’s disease. It gets its name from Dr. Hakaru Hashimoto, the Japanese doctor who first described this thyroid disorder that would eventually bear his name. 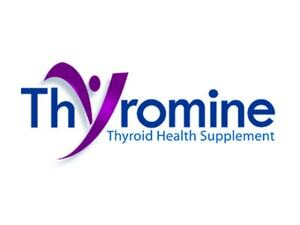 Hashimoto’s hypothyroidism is classed as an autoimmune disease. In an autoimmune disease your immune system begins to attack your body’s own cells. There is a very complex cellular process by which this happens that is beyond the scope of this article. Essentially though when you have Hashimoto’s disease your immune system attacks your thyroid gland and the resulting inflammation in the thyroid causes it to reduce, or stop, producing thyroid hormones. Exactly what triggers your immune system to develop thyroid self anti-bodies (anti-bodies that attack the body’s own tissue) is not known. It may be caused by a bacterium or a virus, or it could be predominantly genetic. 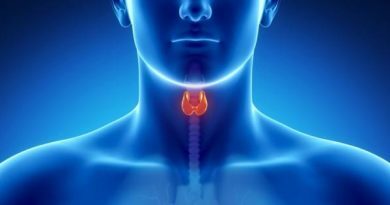 Who Commonly Gets Hashimoto’s Hypothyroidism? Whilst all age groups and both males and females can get it, Hashimoto’s hypothyroidism most commonly occurs in middle-aged women. If you also have a family history of thyroid disease your chances of developing it increase too. Apart from this, people who have other autoimmune diseases are at higher risk of developing Hashimoto’s disease, particularly those with rheumatoid arthritis, lupus or type 1 diabetes. Exposure to excessive amounts of radiation has also been linked to increased cases of Hashimoto’s. As is the case with most symptoms of thyroid disease, they’re slow to develop and often mistaken for other disorders with similar symptoms. Due to its predominance in post menopausal women, many of the symptoms can easily be mistaken for that too and overlooked accordingly. Sometimes someone with Hashimoto’s disease may develop goiter, which is when the thyroid swells. As the disease progresses, symptoms worsen and it’s at this point that many people begin to realise they could have thyroid problems. If you do notice yourself developing any of these problems consistently you should see your doctor. Of the most concern are unexplained and ongoing tiredness, excessively dry skin, a pale puffy face and constipation. Any of these warrant investigating to determine their cause. As is the case with all types of hypothyroidism, lack of treatment will not only lead to a worsening of symptoms but will also cause severe health problems as the disease progresses. Myxedema and potentially myxedema coma, which is often fatal. It’s also known that babies born to women with untreated Hashimoto’s hypothyroidism are at higher risk of having birth defects as well as brain, heart and kidney disorders. These children also often end up with developmental and intellectual problems.